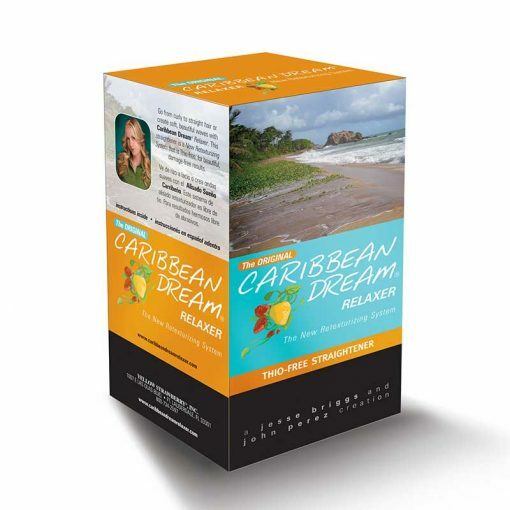 Caribbean Dream Relaxer is intended for the sole purpose of retexturizing hair. CDR permanently changes the natural texture of hair. Caribbean Dream relaxer will straighten and smooth hair, create softness, shine and manageability, plus eliminate frizz. Hair that is curly, frizzy, wavy, unruly or coarse. CDR may be used on hair that has been previously permed, relaxed, color treated or highlighted at the discretion of your professional stylist. Depending on prior straightening or color applications, mild discoloration might appear. Once hair has been retexturized with the CDR treatment, DO NOT WASH HAIR FOR 72HRS. Hair must remain loose and unrestricted. (No rubber bands or barrettes). Deep conditioning is required after CDR treatment, and may be done immediately after receiving treatment and is recommended weekly.